In a meeting last month, Annenberg professors demanded answers on the admissions bribery scheme, to unsatisfactory results. In the days after federal prosecutors filed charges against parents who allegedly paid six-figure bribes for their children to get into USC and other elite universities, a top university administrator visited a faculty meeting to explain that USC was "played," according to faculty who were in attendance. Prosecutors indicted those involved in the college bribery scheme on March 12, and it was March 18 when Vice President of Admissions and Planning Katharine Harrington made an unannounced visit to a journalism faculty meeting at the Annenberg School of Communication and Journalism to discuss the integrity of the admission process. However, multiple faculty members told Annenberg Media they left the meeting disappointed, saying Harrington didn't satisfactorily answer questions, and that they believe there is still a lack of transparency regarding the evaluation of prospective students. "You can't hide behind a federal investigation to give out basic information that the students, the faculty and the alumni need to assess how our admissions are being handled," Mark Schoofs, a journalism professor who attended the meeting, said. "This bribery scandal has illuminated a much larger problem — the perception that USC has a 'pay-to-play culture.'" Professors Roberto Suro and Gabriel Kahn also attended the meeting and stated Harrington explained that there are a certain amount of slots for each athletic team uses to admit students, and that one of the abuses in the bribery scheme was exceeding those numbers without the admission office knowing. According to Suro, Harrington told faculty the admission office "doesn't independently verify" or perform background checks on each of the potential student athletes. Instead, when an athletic recommendation is provided by a coach, "the admission office proceeds on the assumption that the athletic value of that student is something that has been established by the Athletic Department," Suro said, characterizing Harrington's comments. Kahn noted that the admission office did not seem to offer much oversight of athletics to ensure there wouldn't be an excessive number of recruits, noting "clearly, there was just a lot of leeway the athletic department had in order to recruit prospects." Suro said that Harrington commented that "we were played," giving the impression that Harrington was "using the rationale that USC is the victim" and deflecting blame on to the Athletics Department. Both professors stated the faculty also discussed the issue of flagging student applicants, which is the process when certain applications are marked for a variety of reasons and could potentially be given preferential treatment. According to Suro, Harrington gave examples of students whose application could be flagged, such as children of donors, faculty or staff members, or if they pique the interest of a trustee for merit or development reasons. Harrington told faculty an estimated 2% of the entire applicant pool received flags, according to Suro. 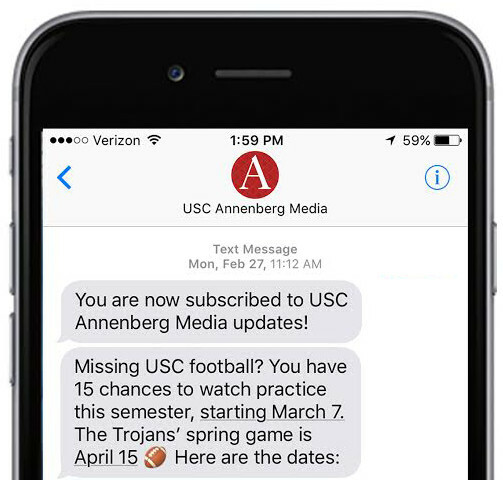 In an email to Annenberg Media, a spokesperson for USC said the university had a record-breaking admissions year with 66,000 applicants. Of that number, 11% were admitted, which adds up to 7,260 incoming students. If the math Harrington cited in the faculty meeting is accurate, then out of the number of students who applied, 1,320 applications could have been flagged. Potentially, as much as one-sixth of the incoming freshmen class could have been flagged for special consideration. Harrington would not confirm such details in a later interview with Annenberg Media on March 21. The phone interview was originally planned for ten minutes in time and scope, and she unexpectedly shortened the call to six minutes and declined to give direct answers to some questions. "Like most institutions of our kind, if we have someone who has asked us to make sure that someone who is special to them, someone we are aware of is in the applicant pool, we simply make a note of that," Harrington said during the call. "But, those indications of interest are not related to the admission decision processes." Suro was also curious about how many of the flagged students in the applicant pool were actually admitted. He said he asked about it in the faculty meeting but Harrington was unable to answer the question immediately. Kahn added that Harrington didn't clarify "what kind of weights these flags carry." Schoofs said he got the impression from Harrington that admissions could see if a flag was a legacy flag or a faculty flag, but not any other types of indications. Nevertheless, he and other faculty members still had questions about who can flag an application and if other flag indications are ever revealed to anyone in admissions. Annenberg Media contacted Harrington repeatedly to discuss the admission processes, seeking a transparent explanation of how decisions are made and how they might change following allegations of the recent college bribery scheme. Harrington stated in the phone interview that she was unable to answer any questions about the relationship between the admission office and the athletic department when reviewing potential student athletes. She added that "there's not a lot I can't say about that right now because there's an ongoing federal investigation, and that is something we're cooperating very closely with the FBI." She also explained that the university is conducting an internal investigation that evaluates a case-by-case review of those in the class of 2023 applicant pool, current students and graduates who may have been involved in the scheme. Here are some of the other questions that Annenberg Media sought answers to in the interview—some were never expressed to Harrington due to the time constraints. Annenberg Media has reached out to Harrington and has not received responses in time for publication. Everyone who applied to USC is pretty familiar with the admission process based on the information provided by the website. Can you explain to me how the process works behind the scenes in the admission office? 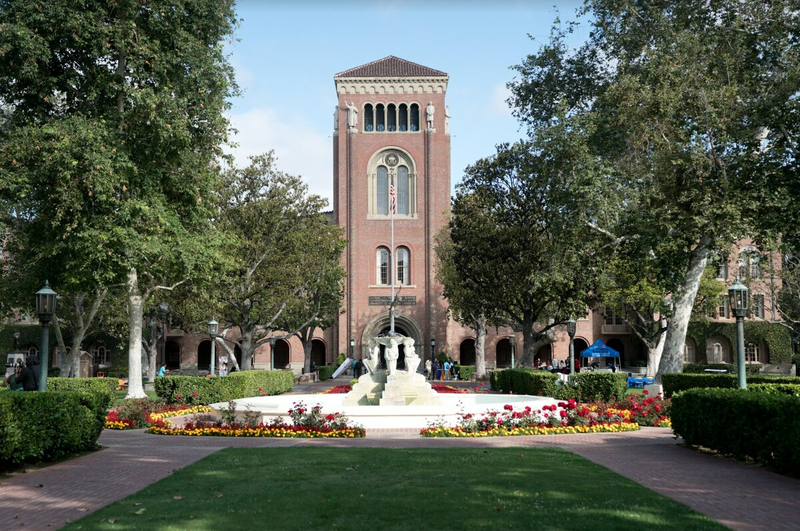 Can you go into detail about how the USC Office of Undergraduate Admission and the athletics department work together when reviewing and accepting applicants? We understand that certain student applications get flagged during the admission process. Can you explain what it means and how and why a student can get flagged, and how many of flagged applicants are usually admitted? Interim President Wanda Austin sent out a letter to the USC Community March 14 regarding the review of the current admission cycle to detect those who may have been involved with the government’s allegations. How far will this review go back and what will the process entail? Do you intend to improve any transparency of USC’s application viewing and admitting process? Karen Wang and Daniel Huynh contributed to this report. 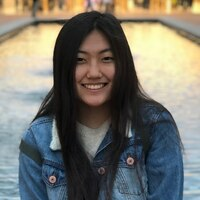 Erica Hur is the News Editor for Annenberg Media on Thursdays. She is majoring in communication with a minor in public relations on the pre-law track and hopes to pursue entertainment law in her near future.